Since we have been at Fort Campbell, KY, it’s been filled with both many units deploying and returning home. It’s pretty cyclical the constant coming and going, and as such, many have found me to take their photos centered around a deployment. 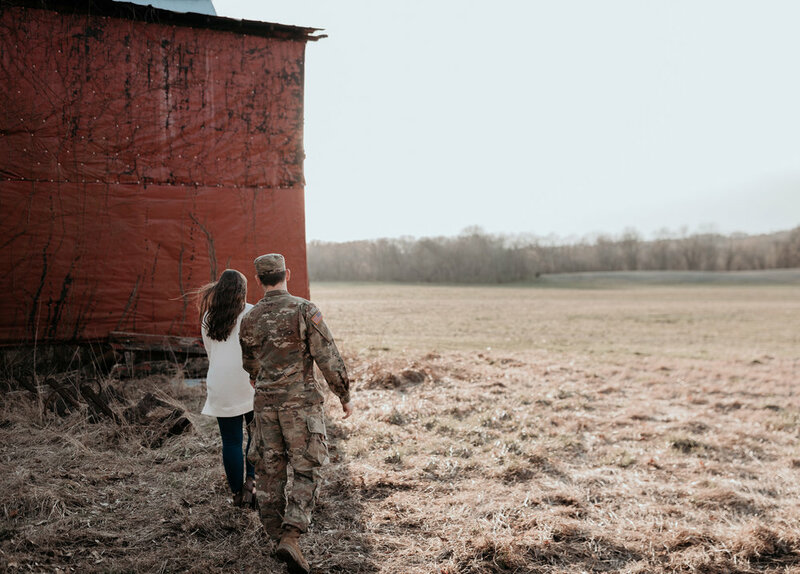 As an Army wife myself, I know this situation well….I too try to schedule some photos of my own family before my husband deploys. Those photos are something I really love to look at while my husband is gone. They always bring a smile to my face on those tough days apart! 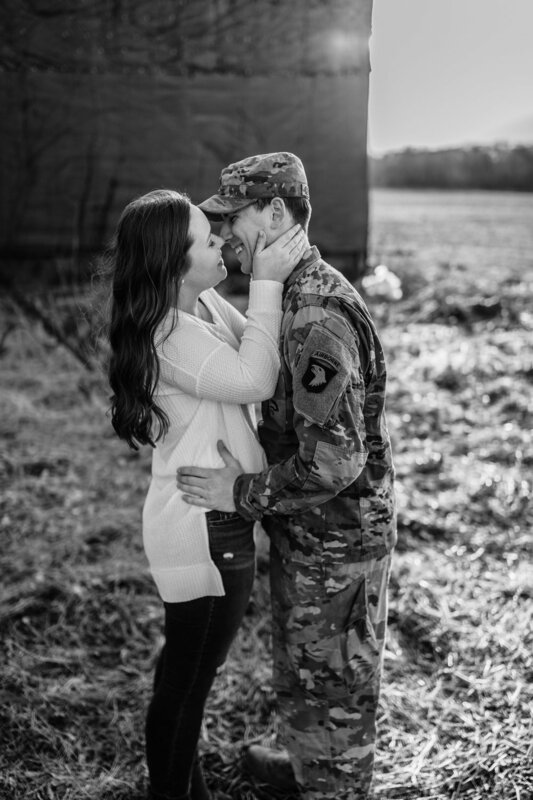 I know that the couples I spend time with will miss each other fiercely during the deployment, so my heart hurts for them having to face that hardship…. but I also know that these photos will be something that they can each cherish on those long and lonely nights apart. 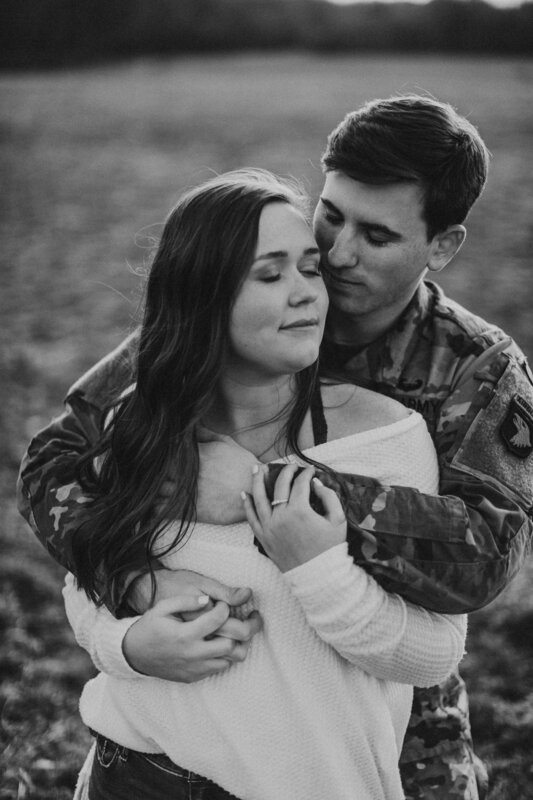 Which is why I always try to have my couples actually MAKE some memories during their session—Like these two love birds! 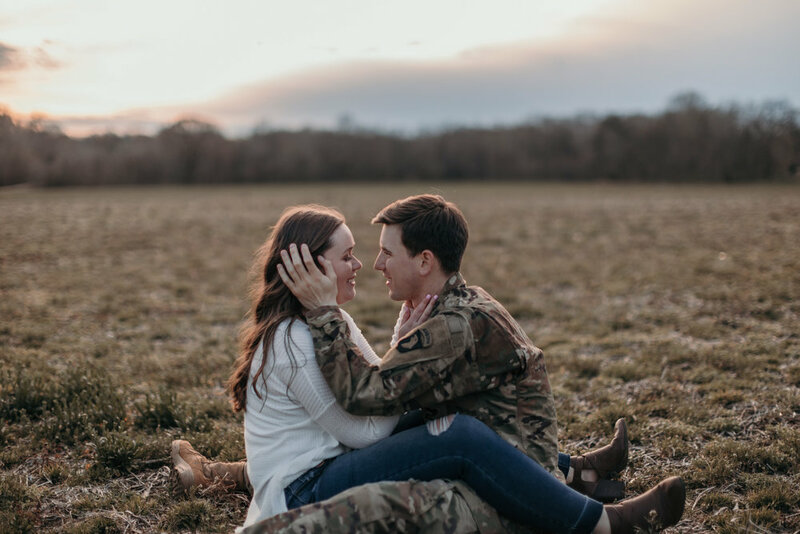 I had the pleasure of meeting Peighton and Zack last weekend to capture some photos for them before Zack heads off overseas, and while the circumstances surrounding the deployment are always a bit sad, we had a great time capturing their love story! The weather was perfect, the burgers, fries, milkshakes and coca cola’s were delicious, and love was certainly in the air! Enjoy some of my faves below! sign up for my newsletter for the latest information and exclusive tips for your session!